NCELL has established eight 3G base stations, out of which four 3G base stations are powered by Solar Energy. One base station located at an altitude of about 17000 feet is the highest in the world. 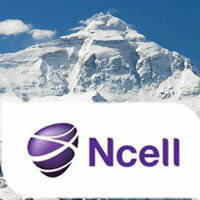 These efforts of the telecom provider NCELL will also benefit the local residents and tourists. NCELL has also aimed to connect 90% people of Nepal with it's wireless network. Recently China's airbase station near Mount Everest was argued to be threat for mountains by the environmentalists. But hopefully these solar powered 3G base stations would cause no harm to the environment.